Overview... physically and emotionally damaged from a motorcycle accident. 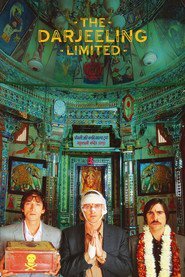 That leads Francis to set up an intricate spiritual journey of self-discovery, reuniting his two estranged brothers on a trip through India by railroad. His plan is to reunite all three brothers with their mother, who is living in India, but it’s not a plan he shares at first with his brothers. Personality… controlling, mysterious, and “new-agey.” Francis is overbearing during the trip, deciding everything for this two brothers, from the itinerary to which menu items to order. His assistant Brendan is the only person who knows his true intentions with this trip, and Brendan isn’t even related to him. Francis obviously has some priorities to sort out. Francis Whitman's popularity ranking on CharacTour is #4793 out of 5,000+ characters. See our top-ranked characters and read their profiles.